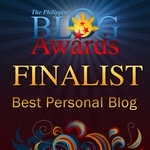 MICAMYX » Personal Blog of a Dagupena Dreamer » Archive » Share and Bond with Family and Friends with SHAREOREO! Share and Bond with Family and Friends with SHAREOREO! I would like to inform my dear readers that OREO is giving away FREE OREO COOKIES! Yes, you can grab a bite and enjoy their newly-introduced strawberry and chocolate snack packs. Surely, the kids would love these! As a little kid, I used to get OREO snacks from the grocery’s cookie section whenever my parents or my grandfather ask me to go with them. Even when I reached high school and college, munching OREO cookies every now and then has been one of my favorite bonding moments with my brother Carlo, who is a bigger cookie monster in that case. I even recorded a video of him eating cookies THAT fast! Here’s what you have to do: Go to shareOREO.com (http://www.shareoreo.com) and register for an account. You will receive a coupon that you can present to your nearest 7-11 store and presto – you will get your free OREO snack pack! I’ll be getting mine soon later tonight. The best thing here is you can also invite your family and friends to get free OREO packs by manually adding their email address or importing your contacts from your email’s address book. I am here at the office as I type this entry (breaktime LOL) and I also invited some of my office mates for an OREO treat. You can also play the Twist, Dunk and Lick game or The Bonding Puzzle. I tried the first game earlier and I stopped at Level 4 because of work hehe. I will browse through the site later.